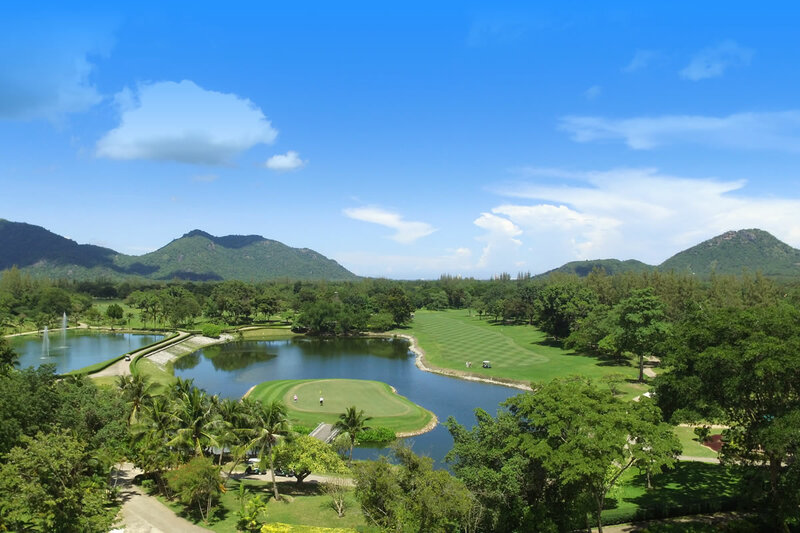 Located in the south west of Hua Hin in pleasant rural surroundings with dramtic rocky hills in the background, Springfield is a very picturesque resort course designed by Jack Nicklaus in 1993. Originally an 18 hole layout, an additional 9 holes were added to allow for upgrading and work on the original 18. The mountain and lake nines enjoy mature natural setting with plenty of well-developed landscaping. The newer valley nine is tough with a number of quite dramatic holes. The pro-shop is very well-stocked and the excellent practice facilities are managed well. Caddies are generally very helpful and experienced. To complete the resort, it has an excellent hotel and spa.